Cute Guinea pig Mushroom beds they are great for sleeping and snuggly inside. 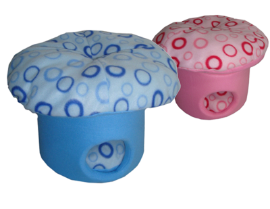 They come in pink or blue, and stand 28cm H and 36cm in diameter. $30.00 each pink or blue.. Postage available.. This is a great bed for your little guinea pigs and is lined with faux sheepkin inside so is sure to keep them nice and worm on them cold nights.. 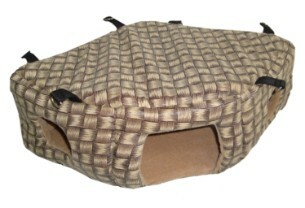 This snug and cosy retreat for Rats and Mice Made from soft Microfibre in brown with blue trim, this little bed has four clips for hanging. Here's a great little bed for just hanging around in! Comes with four hanging clips. 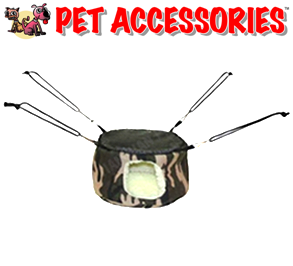 Great for rats. 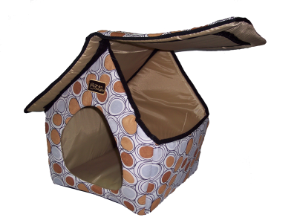 Cute Bedrock igloo style house Great for cats, puppies, Rabbits and also will fit about 3 or 4 adult guinea pigs. With a nylon lining for easy to wipe clean. 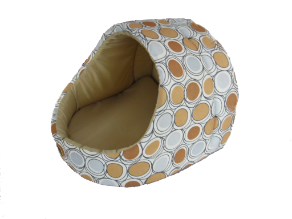 The "roof" has velcro around the bottom so it can be removed, and whole bed folds down flat for easy and economical shipping. Cute Pentagon bed great for Rats, Mice and guinea pigs multiple entries and six clips for hanging! 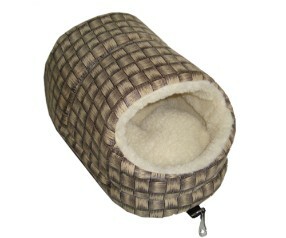 Beautiful comfy bed for your spoilt cavy to spend its days relaxing in. Fully washable with removable pad to minimise washing. 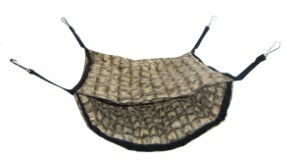 Great for winter or older pigs who just need that bit extra comfort in their lives. Low sides for easy access.